My initial reaction to the disturbing trend of cultural illiteracy was to ram my head against a set of metal spikes (conveniently placed in the cabinet in the back of the room for such occasions) or to drink a potion consisting of horse urine and milk of magnesia that promised to transform me into a teaching juggernaut, but reason got the better of me and I decided to begin each class with a short video or song or reference to Jekyll and Hyde via the miracle of YouTube instead. Since I figured I can’t be the only one teaching this novel to cultural illiterates, I though I’d share some videos with you. But before I do that, here are some common core standards you can use to justify these 3-5 minute clips, just in case. Although I don’t necessarily have a lesson plan to share at this time, these clips can certainly be used for one that incorporates these standards, if you’re so inclined. Actually, before I even do that, I would like to state that any excuse to show Men at Work videos while you’re at work is a good excuse, even if you’re not a man. Here’s a classic: “Dr. Heckle and Mr. Jive,” a fine parody and a fine song. I’m still a little curious about what the whole boy scout and weird mustache has to do with the story. For those of you who didn’t spend your formative years in the 80s, this is what you missed out on. Common Core Standard Ideas for Jekyll and Hyde video clips. We’ll begin with one of my favorite standards. In case you didn’t know (and I didn’t know until two days ago, which might indicate that I, too, am culturally illiterate), Jekyll and Hyde is a popular Broadway musical. I’ve included a couple of popular songs from the musical soundtrack. If you don’t like the ones I chose, there’s plenty more on YouTube. The first clip is “Good and Evil,” which can be played at any point without spoiler alert notifications. Just don’t play this next one before Hyde’s murders. I picked the clip with cartoon horses. You may wish to opt for the clip with lyrics. Although there are clips from the actual Broadway musical of actual actors and actresses singing, not all of these clips are age appropriate. Approach with caution. There are also numerous cartoon adaptations. I’ve included a short clip that includes cats being sucked into a book. Education at its finest! Here’s a catchy cartoon song from Arthur. I recommend it highly. I apologize for getting this song stuck in your head for the next several weeks. 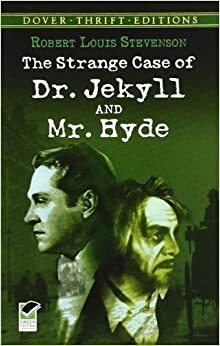 There have been numerous adaptations of Jekyll and Hyde. Why not one more? For step by step instructions on how to do this, follow the link. It involves using GoAnimate to create a scene from the novel. I plan on using it for my Final Exam Review. The prep work for an assignment like this is quite an undertaking. Here’s one for Of Mice and Men. Here’s the transformation scene from the 1932 version. Make sure readers realize that Jekyll and Hyde are the same person before showing these clips. Here’s an Incredible Hulk like computer animation version. Here’s one from the 1941 version. There have been about 8-million film adaptations. These movie trailers might be fun to show. This one’s from the 1941 version. The unintentional comedy is a classic. Here’s a little something from 1990, starring Michael Caine. There are additional Jekyll and Hyde trailers, but I’d be sure to preview them before showing them to adolescents, especially the 2006 version.